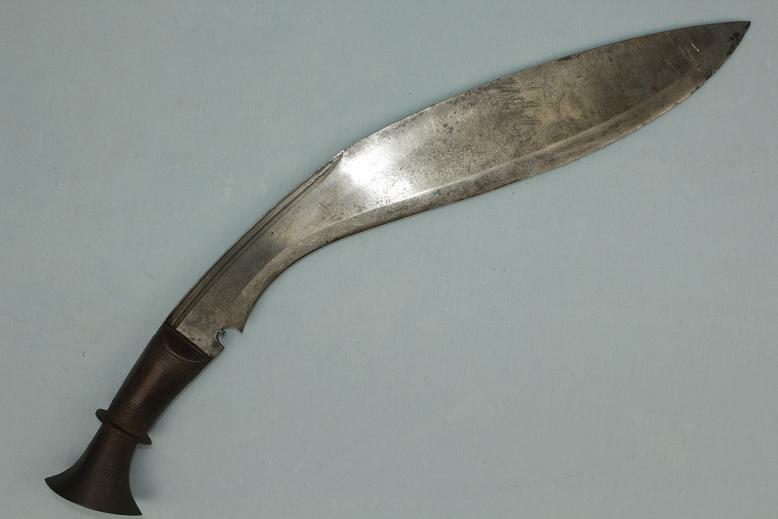 A very large and heavy, all steel 19th century Kukri. 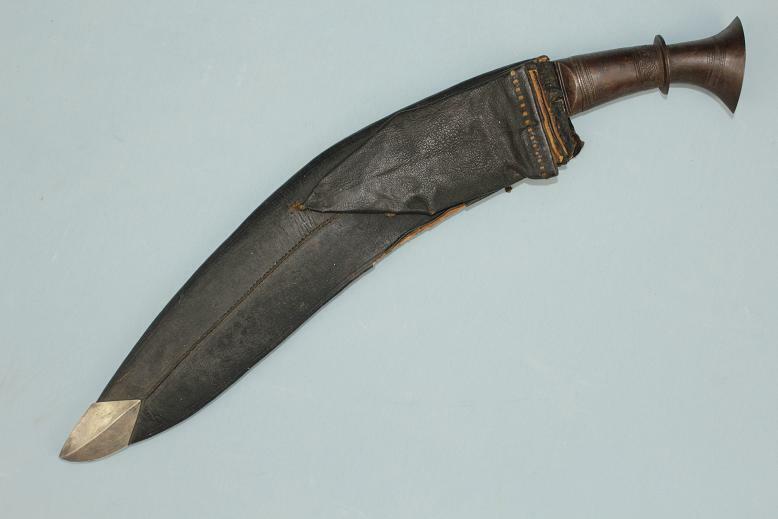 Overall, in its sheath, this Kukri measures 51cms long. Out of its sheath it is 49.5cms long with a 39cm long blade. 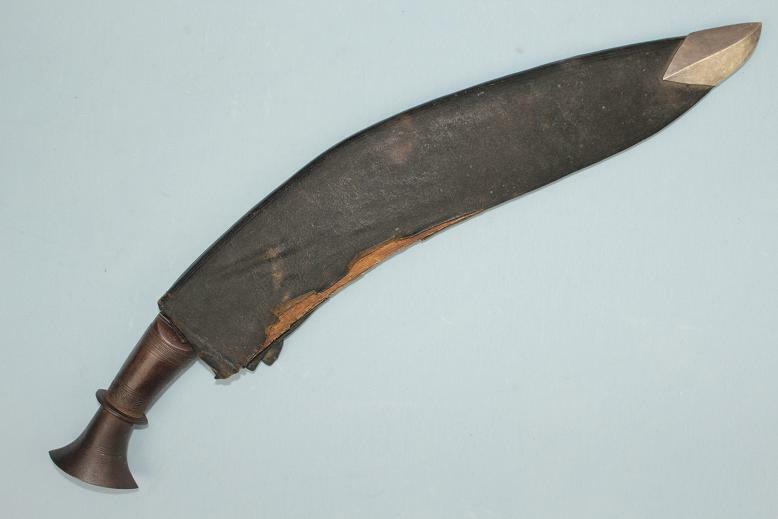 This Kukri is expertly crafted and remains in very good condition for its age. 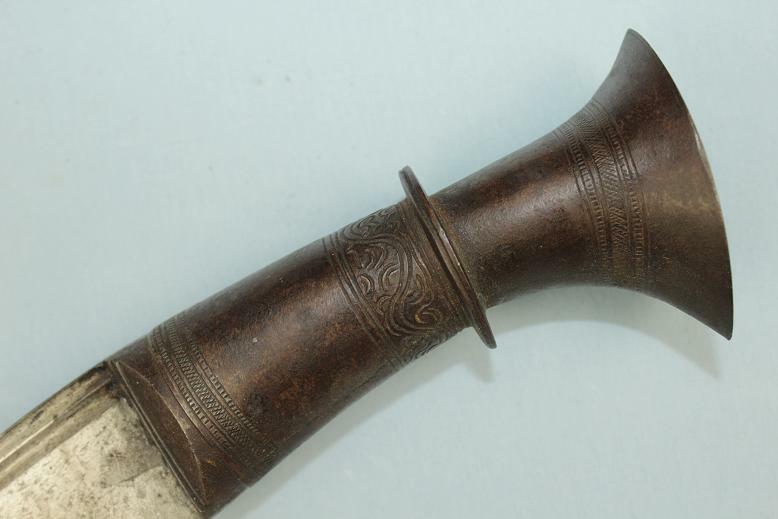 The steel hilt is over 6cms tall across the pommel and has a very tall grip ring. Its surfaces are incised and chiseled showing both simple geometric and floral designs. The blade is near 12mm thick, has double fullers beneath the spine, is deeply hollow forged and a wide beveled cutting edge. It comes with its original leather bound timber sheath that is worn with time, age and use. 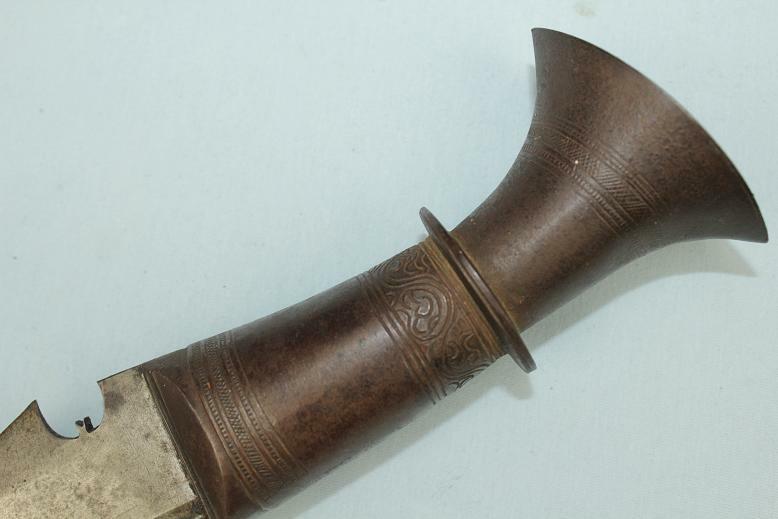 It does retain a large silver tip. 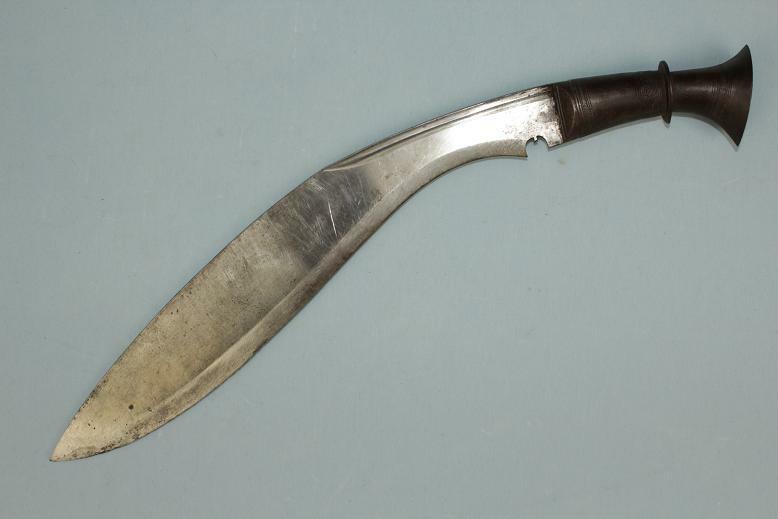 A fine old fighting Kukri or generous proportions and heft.